For more information or to schedule an appointment with our Marlton chiropractor, call 856-983-3373 today! 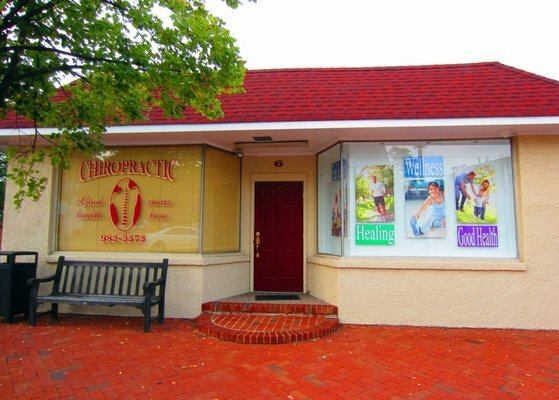 Dr. Charles Carabasi is a chiropractor serving Marlton and the surrounding communities. Our chiropractor and the rest of the friendly team at Carabasi Chiropractic Center are dedicated to chiropractic solutions to target your unique needs, whether you are suffering from back pain, neck pain, headaches, or even just plain old muscular tightness and tension. You may need pain relief after suffering an accident, experiencing an injury, or if you have a specific condition such as chronic back pain or a spinal condition; even if you just want to improve your overall health, our chiropractor can help you achieve your wellness goals! Please visit the testimonials page to see what our patients are saying about our Marlton chiropractor and getting regular chiropractic treatments. At your first visit to Carabasi Chiropractic Center, Dr. Charles Carabasi will explain the science behind how chiropractic care works, and give you a full evaluation to see if chiropractic care is right for you. If there is a good fit, we can develop a plan of chiropractic care that is specific to your condition and health goals. If you are new to seeing a chiropractor and want to find out more, please email us or call 856-983-3373 to receive personalized answers to your questions from our friendly team. We also welcome referrals, so we invite you to share our information with your friends and loved ones. 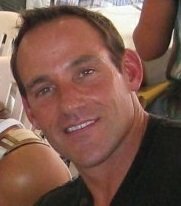 Charles Carabasi is a chiropractor serving Marlton and the surrounding communities. Our chiropractor and the rest of the friendly team at Carabasi Chiropractic Center are dedicated to chiropractic solutions to target your unique needs, whether you are suffering from back pain, neck pain, headaches, or even just plain old muscular tightness and tension. You may need pain relief after suffering an accident, experiencing an injury, or if you have a specific condition such as chronic back pain or a spinal condition; even if you just want to improve your overall health, our chiropractor can help you achieve your wellness goals! Please visit the testimonials page to see what our patients are saying about our Marlton chiropractor and getting regular chiropractic treatments. "Been going to Dr. C for 4 years... he is the best. I even let him treat my baby... now she is 4 years old and almost never sick. He is honest and Nancy at the front desk is very skilled and professional as well. My husband and I really trust Dr. C and he has helped us maintain great health while educating on how to treat ourselves better as well." "I am really glad I decided to see Dr. C. He resolved my back problems and gave me exercises that work! He is so knowledgeable and has given me great diet advice. I lost 18 pounds. I never have to wait at his office either. I sent my wife to see him and he is helping her with her headaches." "I am so glad that my friend referred me to Dr. Charles (Chas) Carabasi. When I first walked through the doors of the Carabasi Chiropractic Center, I had neck pain, headaches, bad menstual cramps, low back pain and I was tired all the time. Six weeks later, I feel like a new person! 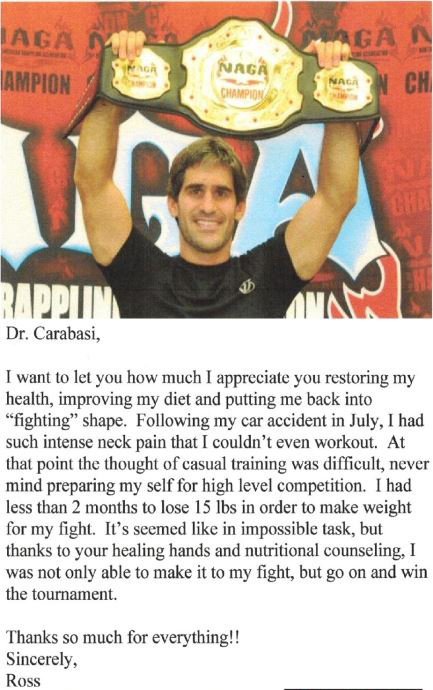 Not only did Dr. Carabasi address my spine he helped me with my diet. ALL my syptoms are gone. Thank you so much, Dr. Chas, for doing what you do!!!" "You guys are a life saver! 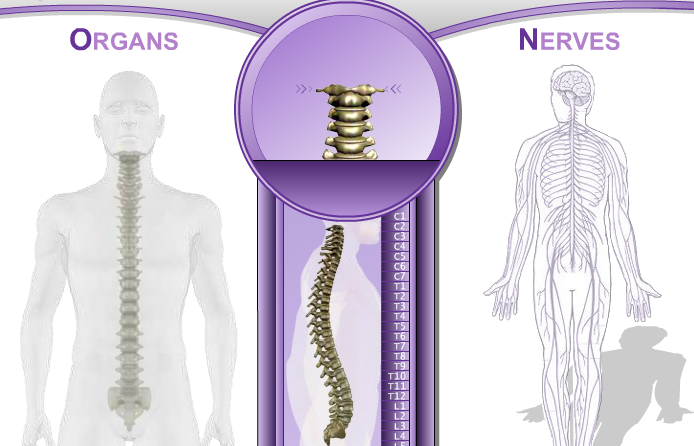 Never felt better"
"Carabasi Chiropractic care basically saved me...I have a herniated disk in my back and at one point it was bulging, it was the most painful thing I ever experienced in my life. Carabasi helped me move again, now I am mostly pain free. I still have to be careful how I treat my back and body, but with the help of the staff at Carabasi I can move again." "Over the past several years I had been experiencing lower back pain which I believe developed from golfing. I tried relieving the problem by using a heating pad, but the problem persisted. 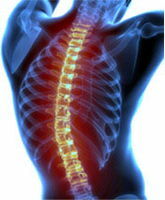 The lower back pain was interfering with work and any physical activity, besides the fact it was very painful at times. I was referred to Dr. Carabasi’s office oddly enough by my golf instructor. After several treatments with Dr. Carabasi my lower back pain subsided plus some added bonus such as minimal to no headaches and over all better feeling throughout my body. I must say that I feel much healthier and happier."